Harmony is a poplular and superb wooden bed frame designed in popular shaker style and has been manufactured using quality pine wood and offers strong and sturdy construction. 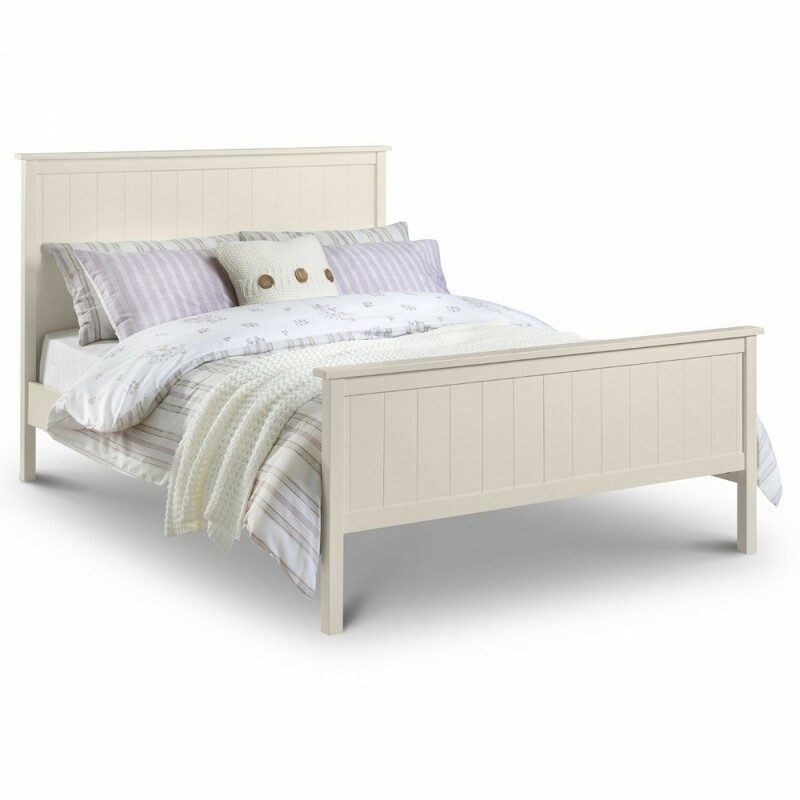 The head end of the bed has subtle panelled detailing and is finished with a shaped top beam. Harmony stone white bed frame has sprung wooden slats for a firm and supportive sleeping area for your mattress. This bed frame is supplied flat packed for wasy self assembly. The Harmony Stone White Bed is an off-white.